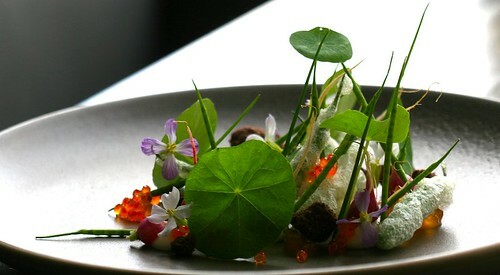 Mark Tuesday, May 14th down for dinner at Red Medicine, the Beverly Hills restaurant known for Jordan Kahn’s artful, exquisite and delicious creations – but perhaps also for the calling out of unwanted critics and no-show diners. So if you’re intent on keeping your reservation a couple weeks from now, you’ll want to call 323.651.5500 ASAP to secure your reservation between 5 and 10:30 PM. Dinner will be preceded by a 2013 Lincoln MKZ test drive and is served prix fixe on Lincoln’s dime (without the “prix,” if you will). There is no limit to the party size; however, if you have a reservation of 5 or more, you’ll be split up into groups of 2 or 3 depending on your preference. Happy test driving, and bon appetit! This entry was posted in Beverly Hills, cocktails, Deals, Events, Food, Promotion, wine and tagged @redmedicinela, Adam Fleischman, Dinner, event, free, Jordan Kahn, Lincoln, May 14 2013, MKZ, Noah Ellis, prix fixe, promotion, Red Medicine, test drive, Tuesday. Bookmark the permalink.